I'm joined by the very funny Rob Graham to talk about the Ultimate Romantic Comedy. Love Actually can be a divisive movie, but Rob and I are united in our actual love of it. I'd qualify this as a mixed bag, if only because theres just so much in that bag. There parts I like, parts I don't know what the point of including that was, and parts and didn't like but did like the people in it just to contribute to the uneven feelings. The British-ness of it certainly helps it stand out. This feels like a transitional period between Shot on Video shows from PBS and the launch of BBC America/Relaunch of Doctor Who. I wonder if they play this in the UK the way we play A Christmas Story over here. I'll cast a vote for Bill Nighy as my favorite segment too. I think its because the platonic, friendship and loyalty based love is unexpected in a movie that proclaims being about romantic love. I feels more rewarding in a sense. As for Liam Neeson's step son, Thomas Sangster. I know him as the voice of Ferb from the cartoon "Phineas and Ferb". Amusingly in that show his character has a crush on a girl voiced by Olivia Olson who also played his crush in this movie. The writers must have been fans. The most annoying ring tone is also used in Jurassic Park 3. Maybe thats why it sends shivers down your spine! 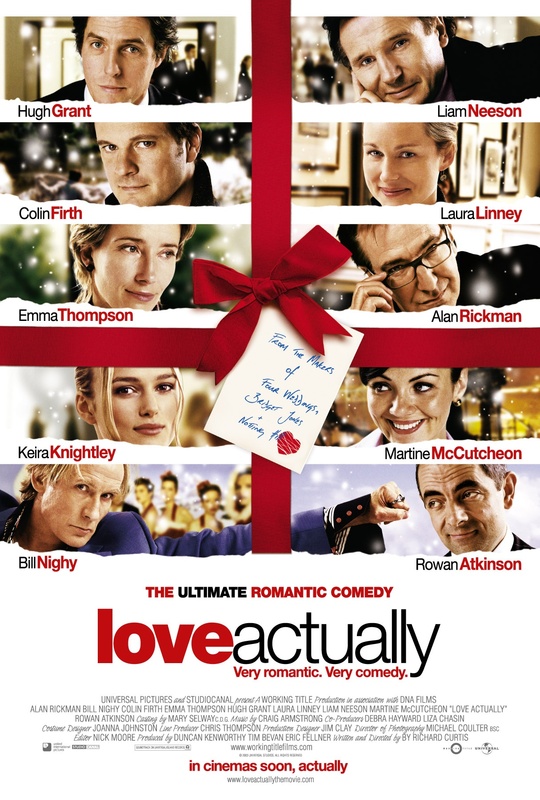 It's definitely because of Love Actually. I've only seen JP3 a time or two and Love Actually connects it with what I know is coming on the other end of each call.